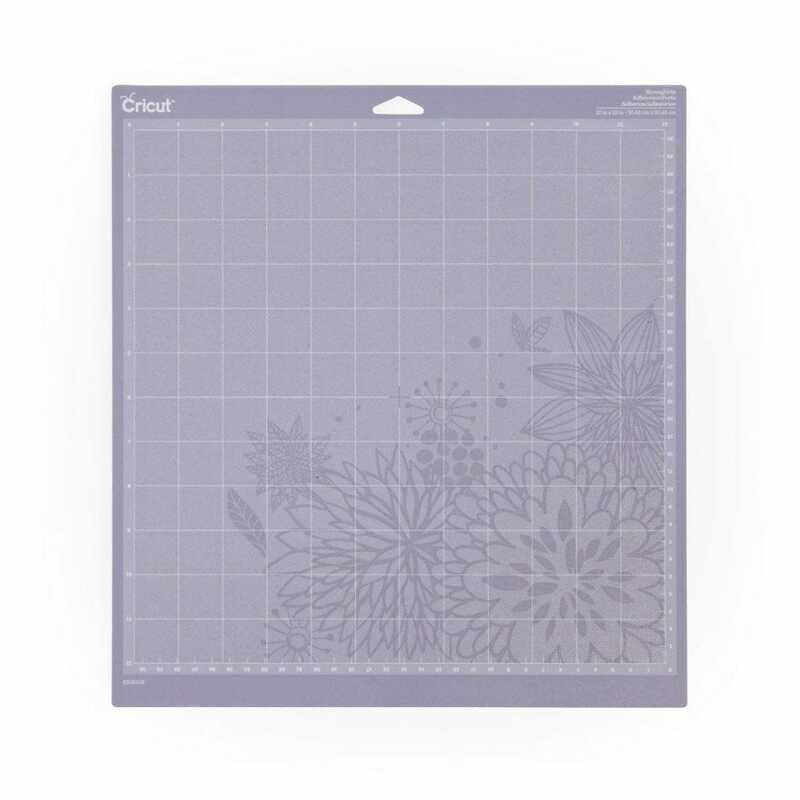 The StrongGrip mat is designed for use with thick cardstock glitter cardstock magnet material chipboard poster board and fabric with stiffener. It is the longest-lasting mat featuring double-life adhesive technology. This package contains one 12x12 inch cutting mat. A bit about the brand: Ready to take your creativity to the next level? Ready to make unique, memorable, “wow”-inducing projects as often as you like? Then you’re ready for Cricut. It’s never been easier to take all those wonderful ideas you’ve been dreaming up and make them a reality.